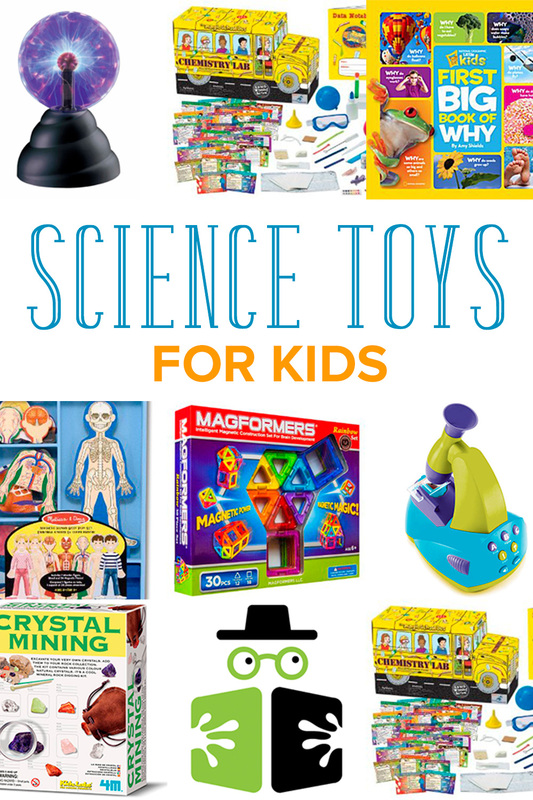 This past year, we’ve had our share of cool science toys for kids. From experiments to magnets, each one incited plenty of ‘oooh’s’ and ‘aaah’s. 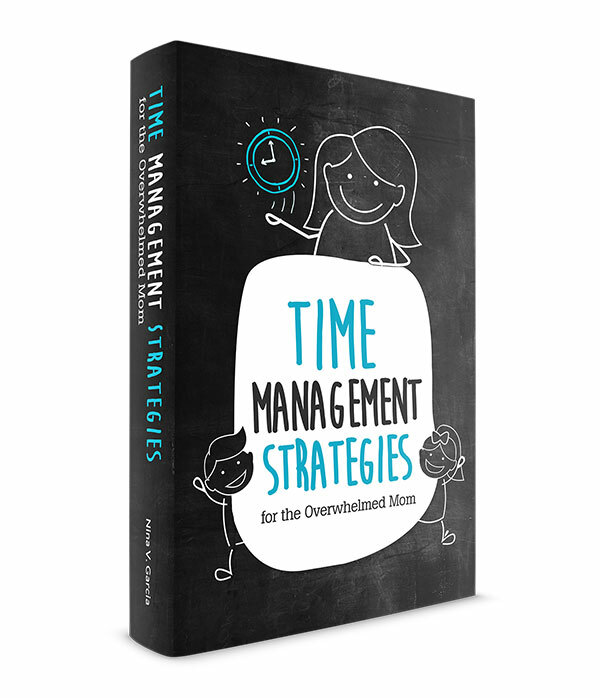 They’re fantastic gifts to give kids, whether your own or loved ones. When I was younger, I planted a pencil in our front yard when I was about six- or seven-years-old. Just as plants do, I expected a giant pencil to emerge from the soil. I thought anything planted in the soil would grow into its larger self. You know those little table-looking plastic things in the center of pizzas? The ones that keep the box from smashing it during delivery? I planted one of those too, thinking how cool it’d be to have a white table sized just for me. I chuckle about my ‘what if’ thoughts back then, but this is why I love the curiosity in kids. Everything is a science experiment as they try to figure out why and how something works the way it does. Curiosity will serve your child well. He’ll always think of new solutions or possibilities. Or feel confident with challenging the norm when his gut tells him otherwise. And he’ll continue to search for answers to all his ‘what if’ questions. My son got this for his birthday and dove right into it! We have one that spurs discussion, from electricity to static to lightning. We’re big fans of The Magic School Bus, both the books and the shows. We have larger hardcover ones and shorter paperbacks. Rather than gifting just one science gift, how about a science subscription? Receive three science experiments every month right on your front door. Melissa & Doug makes this science kit about the human body. Magformers are a big hit around here. Kids can use them to construct and build as well as learn about magnets. This would make an awesome first microscope! Introduce your child to observation as he sees bugs up close. 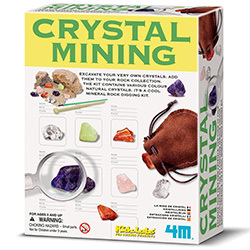 Kids get to unearth and learn about minerals from a rock. Then they can display their found gems or use it as a collection. 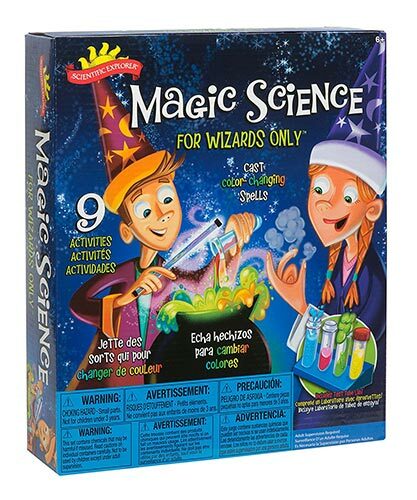 Your turn: What cool science toys for kids does your child like? This is very cool because I’m drawing a blank here for my kids! I remember getting a microscope kit as a kid and I really used it! Melissa and Doug can do no wrong and we love those magnet sets. Also, Magic School Bus!? I loved that as a kid. These are good ones. My daughter got a science experiment kit for her birthday and is loving it! Haha my son got two kits and he loves it too! Though we’re limited and have to tinker with them while the twins are asleep because they’ll mess things up. I haven’t read that book yet Dean—gotta go check it out! Sounds like your little guy loves reading, awesome! That’s such a cute story about the pencil and the pizza table! L was using those magformers today when I picked her up, and T when right in and started playing with them too. Looks like those may just have to get added to our shopping list. Thanks for all the great ideas! Yeah they’re pretty awesome Leslie. My mom gave those to the kids a year or two ago and they still get played with. 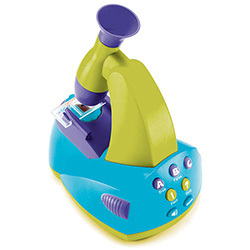 We love these educational toys. The wonderful part about it is my kids do, too. We had some of these when my kids were younger. 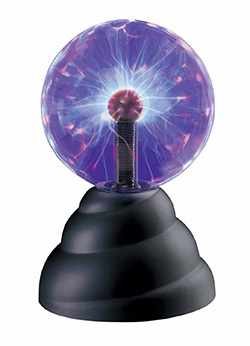 (Still have the plasma ball because…cool!) Great list. 🙂 Also, Magic School Bus books as Tamara mentioned. 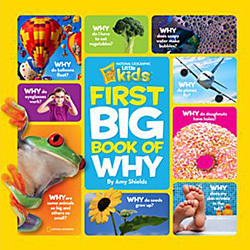 They have readers and early chapter books so they’re a fun science-related read. Yup Sarah those plasma balls are cool 🙂 And yeah we’ve been reading Magic School Bus books, both the early chapter books as well as the younger children’s ones too. They love them! My kids love those Nat Geo books and Magformers. 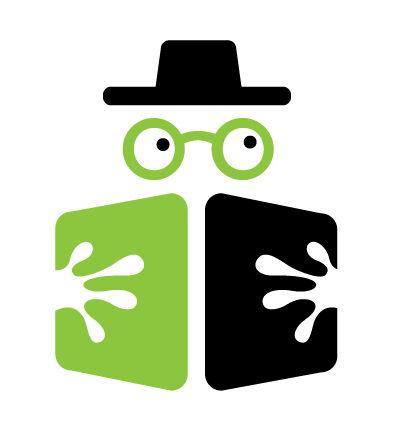 You should also check out Discover with Dr. 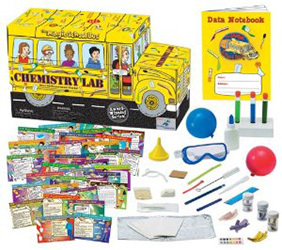 Cool for some really fun science learning kits! Oh cool Rabia! Thanks for the suggestion, I’ll add it in right now.